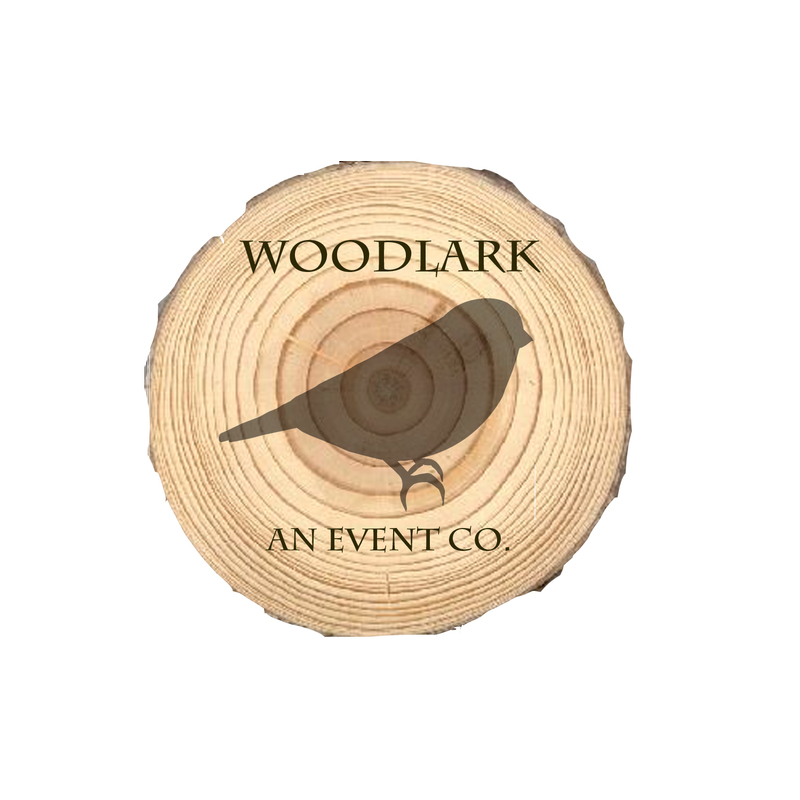 Colorado | Woodlark, an event co.
Just kidding! SoulX brought down the house, as usual. Right after the couple battled it out Guitar Hero-style for their first dance. Love to you both! All photo credits to Joe Kusumoto, who did an amazing job capturing every single smile throughout the day. 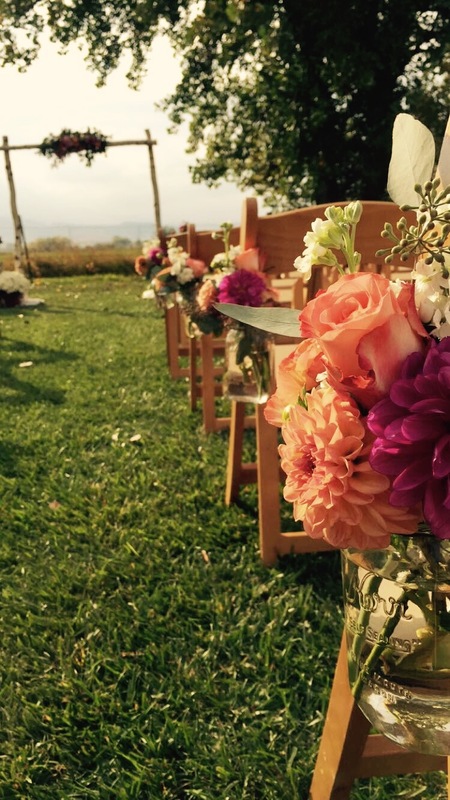 We are too lucky to work with the craftiest brides around. 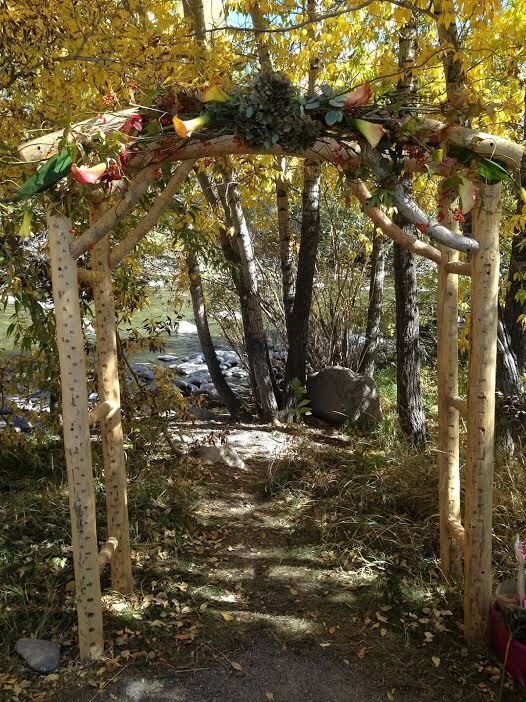 Erica (who is a fantastic hair stylist who did my hair for my wedding) hand-sewed the flower girl’s dresses and ring bearers’ vests, made the shotgun shell boutonnieres, painted furniture and recovered chairs for the marriage license signing…the list goes on. And then Clint, a firefighter, brought a whole crew of firefighters to set everything up for her and execute her perfect vision! What a power couple. Ian of Shoots the World Photography has a beautiful gallery on his blog; there are simply too many gorgeous pictures to post them all here! Congrats and so much love to these fantastic people! 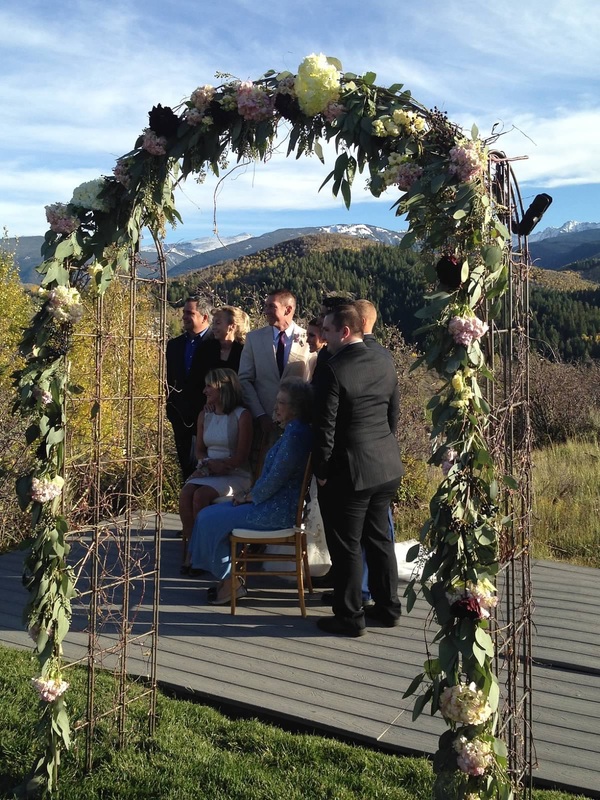 We were blessed with a stunning fall this year in Colorado, complete with four fabulous ceremony arches! 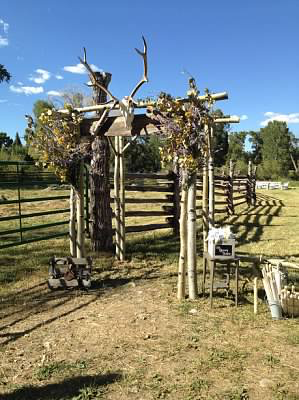 We love this look for rustic mountain weddings and each provides a beautiful backdrop for very special moments. Congratulations to our four fall couples!